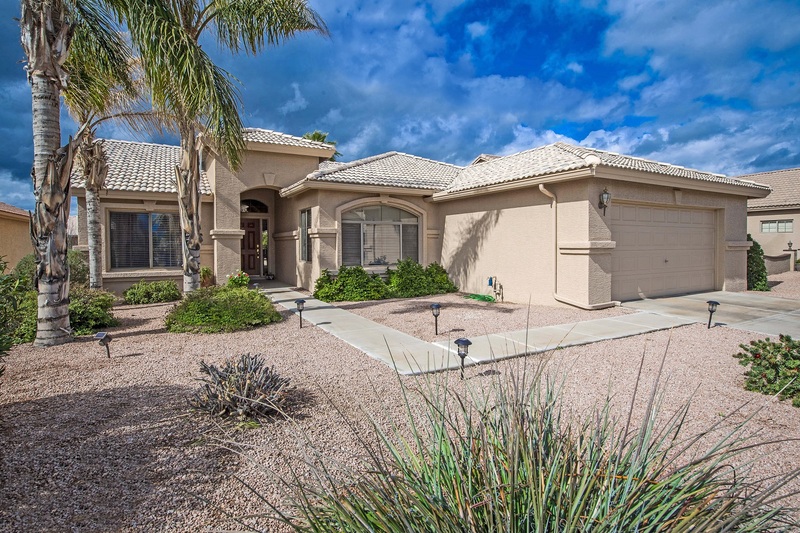 24314 S Agate Dr Sun Lakes Arizona just listed for sale! You are here: Home / Chandler AZ Real Estate / 24314 S Agate Dr Sun Lakes Arizona Home SOLD! Step Inside Our New Listing in Sun Lakes Oakwood! Welcome to this beautiful split bedroom Palmera home located at 24314 S Agate Dr in Sun Lakes Arizona. With a versatile floor plan, you can choose to use the great room as either a dining/family room or living/great room. A spacious kitchen with a breakfast bar opens into the great room. The great room picture windows, giving you a perfect view of the mature landscaping. Retreat to your master suite that includes dual sinks, a large shower, and a walk-in master closet. Maybe a little fresh air is what you’re looking for. There is a walking path just off your backyard that wanders through the neighborhood. On the other hand, you could plan out your day while sitting under the covered patio sipping your coffee. 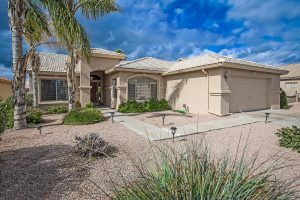 Living at 24314 S Agate Dr Sun Lakes AZ – A Way of Life! Buying a home in the Oakwood Community of Sun Lakes gives you more than a home, you get a way of life! The amenities of living in Oakwood Sun Lakes include pickleball, golf, tennis, walking paths, and entertainment. Your hardest decision every day is to decide which activity to choose! But what about outside of Sun Lakes? Not only does living in Sun Lakes give you a resort style life, but your location puts so much more at your fingertips! Pick up your out of town guest at the major airports that are only half an hour away. Generally speaking, shopping, restaurants, and entertainment are all within a few minutes drive. Arizona offers you the year-round incredible weather and Sun Lakes gives you the Active Adult Community lifestyle! In conclusion, what are you waiting for? Contact us here or call us at 480-440-0849 for more information on 24314 S Agate Dr Sun Lakes Arizona! Find out more about The Kolb Team and Sun Lakes Active Adult Communities.